It could be the largest tech fine in history. 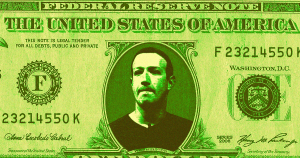 The Washington Post reports that the Federal Trade Commission (FTC) and Facebook are negotiating over a “multi-billion dollar fine” to settle the FTC’s investigation into the social network’s shady privacy practices. The Commission’s investigation began almost a year ago, when the Cambridge Analytica scandal landed: a UK data mining company found to be involved with Donald Trump’s 2016 presidential campaign, accessed data about millions of its users without permission. The FTC accused Facebook of not being transparent enough about its data sharing practices. While the two sides still have to agree on an exact amount — details surrounding the fine are still sparse — it could become the largest-ever fine the FTC has ever imposed on a technology company. There have been some examples of massive fines for tech giants in the recent past. In July of last year, Google was hit with a giant $5 billion fine by the European Union for breaking antitrust laws. Facebook has two options: broker a deal and agree to alterations of its business practices. Or Facebook could take the FTC to court. But as the Post points out, that could end up hurting both sides significantly.